Manifesto Jamaica teamed up with Outta Place to implement Dance Dialogue. 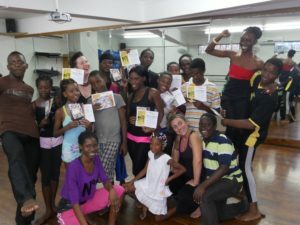 The Dance Dialogue was about connecting young people from challenging circumstances in Kingston, Jamaica with young people facing similar circumstances in West Yorkshire, England. 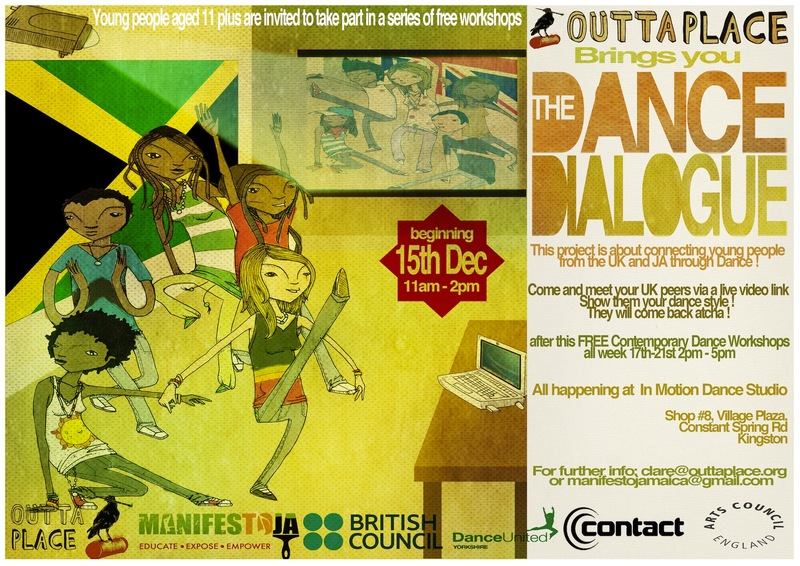 Outta Place presented an exciting cross-cultural dance exchange, using telepresence technology, to link young dancers on stage in Manchester (UK), with Kingston (Jamaica) and Dublin (Ireland). Stay in the loop on events, special offers and other news from Manifesto JA in Kingston city.